Sometimes the best lessons are the most painful. Resilience – the ability to bounce back from adversity – is one of the key attributes of entrepreneurs and was the focus of my first weekly radio show, Entrepreneurs are Everywhere, on Sirius XM Radio Channel 111. Richard Witten, special advisor on entrepreneurship to the President of Columbia University; and Kathryn Minshew, co-founder of the popular online career platform TheMuse.com both joined me in Sirius’ New York studio and shared their version of being knocked down and coming back stronger. Richard discussed how New York City’s rejection of Columbia University in the competition to build a new technology campus was a real wake up call. Kathryn shared the painful lessons she learned when her first startup fell apart. Entrepreneurs are Everywhere airs Thursdays at 1 pm Pacific, 4pm Eastern on Sirius XM Channel 111, and follows the entrepreneurial journeys of founders sharing their experiences of what it takes to build a startup – from restaurants to rocket scientists, to online gifts to online groceries to entrepreneurial education and more. The program examines the DNA of entrepreneurs: what makes them tick, how they came up with their ideas; and explore the habits that make them successful, and the highs, lows and pivots that pushed them forward. Richard Witten, is a former General Partner at Goldman Sachs with with 35+ years of experience in the global capital marketplace. He formerly served as Vice Chairman of the Columbia University Board of Trustees. Steve: One of the surprising things for me sitting in the West Coast, is when (then New York City) Mayor Bloomberg basically dissed all (of the universities in New York and picked Cornell and the Technion for a new applied sciences and technology campus.) Wasn’t the mayor (essentially) saying to Columbia, “Your (applied science program) isn’t good enough. We’re going to set up a special relationship and pick some school up north, Cornell, and some Israeli school.” Was that a shock to the system? Richard: What shocked us, and I’m sure the folks at NYU felt the same way, was that this seemed to have been a done deal…The prize was an island that sits in the East River, called Roosevelt Island. … The deal was that the city would give most of this island, to Stanford, if Stanford would set up computer science, engineering school east. …The New York universities weren’t particularly happy with that… The mayor, recognizing that he should have involved NYU and Columbia, and perhaps others, opened up the process. Now, neither NYU nor Columbia really want the space. … We wanted other things. We wanted the city to help us, in the case of Columbia, with a data science institute, in the case of NYU, with an urban engineering institute. At the same time, as these conversations were going on with the city, as I understand it, Stanford got cold feet and decided they really didn’t want to extend out 3500 miles. Cornell swept in, swooped in, and offered a tremendous deal for the city, a huge commitment, and Cornell won the bid. It’s a great thing for New York. Steve: Was this a wake-up call for Columbia? Richard: It was…. What it said was that the era of … pure science research is over. (It meant that) universities need to apply their knowledge, and apply their skills, and apply their resources to getting stuff done, and not let the getting stuff done part be something that somebody else does. We thought that alumni, students, and faculty and/or pedagogy represented three distinct areas of opportunity. On the alumni side, we set up an incubator downtown, called the Columbia Startup Lab. … It has been phenomenally successful. We’re in our second cohort, 71 young folks, all of whom are alums of the university, given the opportunity and resources to build their businesses. Of the cohort that just graduated I think eight are completely self-sufficient and actually revenue positive and another 10 are in Series A round financing. On the student side, harnessing the power and the energy that was already there, the largest club at Columbia University is called CORE, Columbia Organization Of Rising Entrepreneurs. There are 3500 students that signed up for this. We run a student competition, at the end of every year. This year the prize pool was $250,000. The winners … will blow your socks off. I suggest you go to http://entrepreneurship.columbia.edu and check out the winners of this competition. These are kids that have contracts with the New York Police Department, with the World Health Organization for the stuff that they’ve done. The third piece is pedagogy …how do you get these tool kits taught in an academically rigorous way? 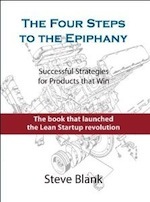 … Steve, you’ve been doing in the Lean LaunchPad course is how do we take that and expand upon it, not just in business but … in policy, in medicine, in public health, because the application of skills in those fields is just as important as it is in a business. 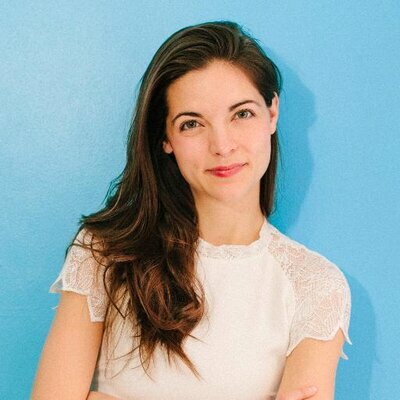 Kathryn Minshew, a former management consultant at McKinsey, is CEO and co-founder of TheMuse.com, a career platform helping 40+ million people build amazing careers. She previously worked with the Clinton Health Initiative improving access to vaccines in Africa, and has been has been named to INC’s 35 Under 35 and Forbes’ 30 Under 30 lists. Kathryn: The four of us built this startup, which started off as a side project and slowly turned into a business from September of 2010 to June of 2011. We didn’t really formalize the relationship in terms of equity and decision-making and ownership… Because we couldn’t come to an agreement, we put off the decision. 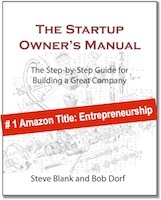 What we couldn’t (agree to) was how to split founder equity. There were two of us full time on the startup. Two were half time. The people that were full time thought that the equity should be weighted far more towards the full time and the people that were half time thought they were making substantial contributions that wouldn’t be honored without a really sizable chunk. We also couldn’t agree on when those part-time people would go full time. We also had one person who had brought us all to the table with this original concept of a print magazine. There was … disagreement. Was the idea worth 25%? Is it worth 5%? What’s the answer? I thought it was worth 5% and that was definitely something where there wasn’t total alignment. We never fully sat down and fleshed out two really big things. One is what’s our mission and who are we for? Two is when the press comes calling or when investors come calling, who do they talk to? Steve: It sounds like there were just a whole set of simmering issues because you never did the hard stuff up front. Wasn’t anybody giving you advice at the time? Steve: But in the end, you were the two jerks who left to start a competing company — but you weren’t the jerks at the time. In the clip below, Kathryn offers her lessons learned from the experience. Kathryn: Lesson 1: Sit down with a lawyer and sign proper documents. You need to incorporate whether it’s as an LLC, a sole proprietorship… as soon as someone’s putting time or money into the business. Lesson 3: Have the hard conversations up front. …Were I to do a company again, I would insist on having those conversations first. I think that I’m personally against fully 50/50 splits unless you really think that you’re that one-in-a-million, beat-the-odds because when (the equity is split) 51/49 or anything else ultimately you both know where you stand. If you’re the 48, you know that if push comes to shove the other person has that. I think what’s difficult is that in a startup most people tend to overvalue their contributions, they’re working very hard … I think it’s important to have that structure in place. Steve: You’ve had your stock accrue up front? Steve: Boy were you guys naïve. Kathryn: Oh yeah we were … but I made the mistakes so your (listeners) don’t have to. During their interviews, Richard and Kathryn also shared stories of their early lives, tracing career paths that turned out different than they’d expected. Richard recounted how he got into Columbia University as an undergrad without ever applying. … It was time for me to enter college in 1971. I wanted to go to Harvard more than anything else in this world. I only applied to two schools … Harvard and … Amherst. I did not get into Harvard. I did get into Amherst. I went up to visit Amherst and said, “Shucks, I don’t really want to live in the middle of nowhere.” My sister who was a Barnard at the time said, “Apply to Columbia. Nobody’s applying here because of the riots in ’68.” Enrollment was way down. … New York was not a happy place to be in 1971. I made a few phone calls. They admitted me over the phone. I never really filed an application. I just kind of got in on the phone call. … I majored in comparative literature, of course — consistent with being a Wall Street titan and an entrepreneur. It was a medium-sized firm called Baer Marks & Upham … kind of a specialty firm that focused on securities, commodities law. The good news was I had a great boss. I got to meet people at Goldman Sachs as a consequence of this focused practice of law. The bad news was I didn’t like being a lawyer. I liked being in the process of solving problems, but I wanted to be more of a principal in the engagement, not a functionary. For me, serendipity means putting yourself into a position to recognize opportunity and challenge. It means showing up. It means pursuing ideas, having guts, don’t be afraid to fail, and I associate so much of this with what an entrepreneur needs to do, and that’s the reason I think I’m so attracted to this personally. Entrepreneurs find problems that need to be solved, ratify that there is value in solving them, bring together resources and then scale. Listen to Richard’s full interview here. 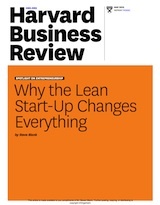 One of my friends at McKinsey was starting a company… Sir Kensington’s Gourmet Scooping Ketchup. You can buy their condiments in Whole Foods and a lot of places. He was working on that in his nights and weekends and I started helping out with my friend Alex who is now my co-founder. …I loved it. I thought… this is so exciting. … There were a couple of fly-by (startup experiences) earlier in my career, but …this was the first time I was paying close attention. … My father had actually done startups when I was really young … I wasn’t old enough to know anything about it except that they were really hard and that he had ended up going into slightly later-stage businesses. …He always talked about how much fun it is to build something. Listen to Kathryn’s full interview here. Steve Great blog. I love the stuff from Columbia. I will wright a follow up for you based on our prior conversations about the future of entrepreneurship education to give this theme follow-though and flow. Love the new show on Wharton Business Radio Steve. Keep up the good work!